This is a great idea from Friends of the Earth. It gives seedlings a great head start and is a handy way to recycle plastic bottles too! All you need to do is cut empty plastic bottles in half and place them over seedlings to give them their own individual greenhouse. 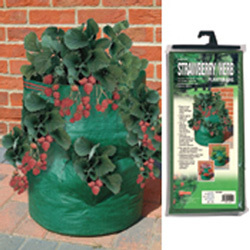 Very young plants will benefit from the warm micro-climate underneath the plastic, which also protects them from hungry slugs and snails. If you would like to be a little greener why not subscribe to receive Friends of the Earths free Tip of the Day by email. All the details can be found here. For all your gardening needs this spring visit www.recycleworks.co.uk. These delicious cupcakes complete with pretty, crystallised flowers are a real taste of Spring sunshine. Enjoy with afternoon tea or at a springtime party… The crystallised flowers can be made in advance. The recipe here makes approximately a dozen and a half cakes. Place the finished leaves and flowers on some kitchen paper and allow to dry at room temperature for around 24 hours. They are then ready to use. We are still enjoying a steady supply of mushrooms from our Mushroom Growing Kit, and as promised this week we have one of our favourite yummy mushroom recipes for you. My children love this recipe, which is always a good sign, and it’s ready in around 20 minutes! 1. Melt the butter in a pan, add the onions and cook until soft. 2. Add the mushrooms, cover and cook for 10 minutes, stirring occasionally. 2. Meanwhile bring a large pan of salted water to the boil, add the pasta and cook for 10-12 minutes. 3. To the pan of mushrooms and onions, add the lemon juice and garlic, cover and cook for a further 5 minutes, stirring occasionally. Add the parsley, salt and pepper and mix well. Add around 5 tablespoons of cream and heat through. 4. Drain the pasta well and toss in the sauce. Add more cream if necessary. Sprinkle grated parmesan cheese on the top and serve. For a healthier option try substituting some of the cream for creme fraiche. This dish is nice with a side dish of crispy salad leaves. Have you ever had a problem identifying wildlife, be it a bird, a beast, a fish, a flower or or even a fungi – if so, then you need to visit the iSpot website. Run by the Open University, this is a brilliant site . You simply upload photos of the whatever it is you can’t identify to the website for all to see and someone will answer your query. 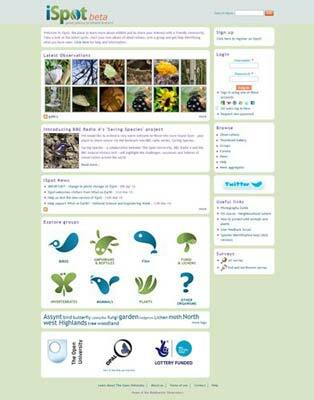 You can learn more about wildlife and share your interests with a friendly community. Take a look at the latest “spots”, start your own album of observations, join a group and get help identifying what you have seen. 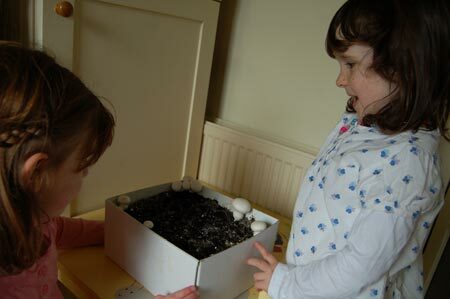 If you follow our blog regularly you will know that we received our lovely Mushroom Growing Kit a few weeks ago. We were very excited and took it straight home to get started. The kit includes full, easy to follow instructions along with everything you need to get a good crop of mushrooms! First we took the casing soil, placed it in a bucket and added some tap water. We then covered it in some foil and left it for 24 hours. 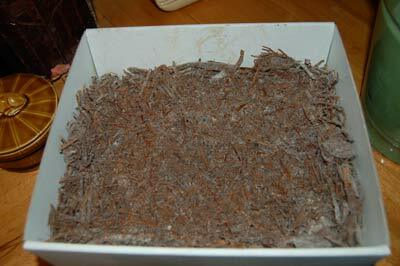 Next we opened the growing kit which was full of mushroom spores. 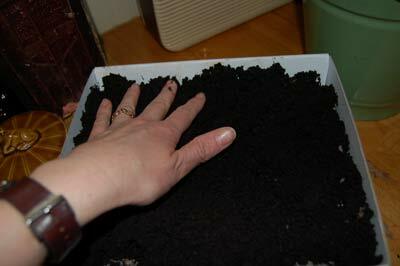 We gently spread the moist casing soil evenly over the top of the kit. We then sprayed the soil with a hand spray everyday to keep it nice and moist. We kept the kit closed in between times to keep the atmosphere inside damp. 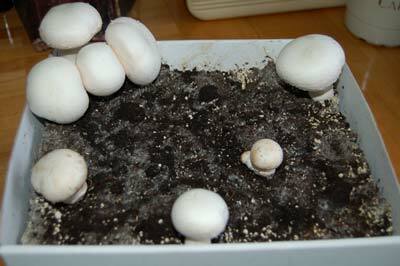 Very soon the compost became covered with small white dots – the beginnings of our mushrooms! 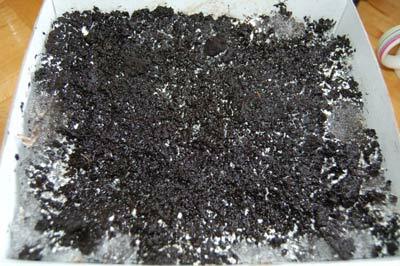 We kept spraying the soil to keep it moist and on day 7 we installed the water reservoir (included in the kit). After around 3 and a half weeks our mushrooms were big enough to start picking. It is best to pick them when they are around 3-5cm in size. We have a steady stream still coming and pick a handful every few days! The kit has been fantastic fun for the family ..the children’s expectation and excitement making it so much fun …And as the mushrooms literally double in size some nights, we now understand where the description of something having mushroomed, comes from!! 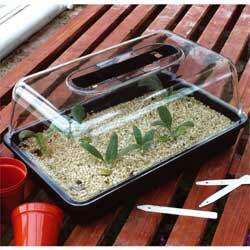 To buy your own Mushroom Growing Kit click HERE. …And visit the blog next week for our favourite mushroom recipe! Our Competitions For April – Tell A Story in Just 8 Words! April 23rd is William Shakespeare’s birthday so we thought if would be fun to have a story telling theme to our competitions this month. As usual there will be two competitions one for Families and one for Schools, but the challenge this time is the same for both. And a couple from us…. Be as creative as you like and we look forward to seeing what you come up with! The winning school will receive a copy of the lovely new book Kids in the Garden, plus 2 Non-Electric Propagators, a Mushroom Growing Kit, a Strawberry Planter and a Kids Traditional Watering Can. Full details of how to enter are on the Family Competition page and School Competition page. 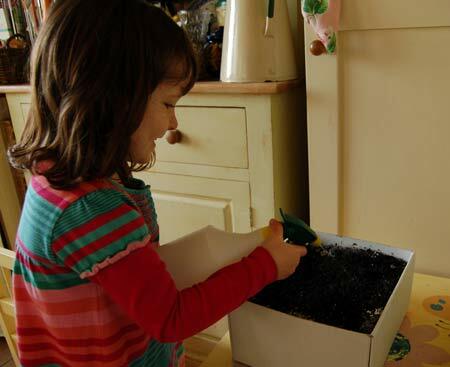 Please send your entries to competitions@gardeningwithchildren.co.uk by 30 April 2010.